Jacob’s practice focuses on private investment funds. He advises well-established as well as emerging fund managers on structuring, launching, offering and administering fund vehicles, negotiating strategic relationships, seed deals, side letters and separately-managed accounts, liaising with investors, restructuring of management companies and other partnership arrangements, executive compensation, employment and separation agreements, securities laws, regulatory and compliance issues, and other general corporate matters. 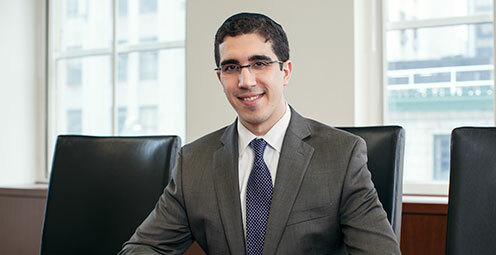 Jacob’s experience includes guiding Israeli emerging and established managers in navigating the U.S. regulatory climate and offering fund vehicles to U.S. investors.